The Lake County Chapter of CWA is committed to promoting agriculture within Lake County through its AgVenture educational program, and throughout the state by speaking with California’s state representatives about agriculture issues. Supporting students pursuing a career in agriculture is a top priority of the chapter. 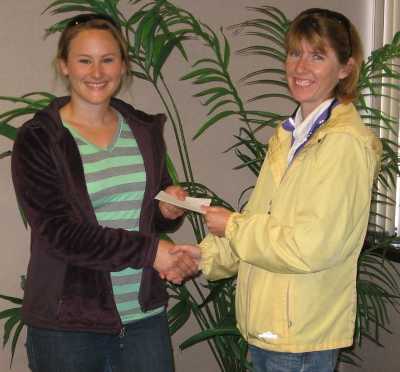 The Lake County Chapter of California Women for Agriculture is offering scholarships to graduating high school seniors and college or vocational students (regardless of gender) whose educational emphasis is related to agriculture and who will be attending a two or four year program as a full-time student. Scholarship recipients will receive the funds in two installments. The first installment will be paid at the beginning of the first semester conditioned on proof of full-time enrollment. The final payment will be made at the beginning of the second semester, upon receipt of full-time enrollment proof for the second semester and proof of a GPA of 3.0 or better for the first semester. Selected students will be encouraged to attend a CWA Chapter meeting during the coming year to describe course of study and how the scholarship has assisted in the pursuit of educational and career goals. Fill out the requisite scholarship application packet, which acknowledges a pursuit of a career related to agriculture. Applications, which do not clearly convey the applicant’s pursuit of a career as it relates to agriculture, will not be considered. Be willing to participate in an interview with the CWA Scholarship Committee if requested. The application form is enclosed and must be received by CWA with all other required application material on or before April 1, 2018. Applications without all required material will not be considered. Please indicate “Scholarship Application” on the envelope. For more information, contact Sausha Racine at (707) 245-4787. We support students who have Agriculture in their future!